The Parkinsons of Quorndon, Leicestershire, UK. Old house in Meeting Street, Quorndon presumed built in 1400's. It was lived in by Robert Parkinson (1740 - 1830) and family. was built in the 1770's and this gave the name to the street. Arrived in Tasmania on the "Richmond" in 1822. 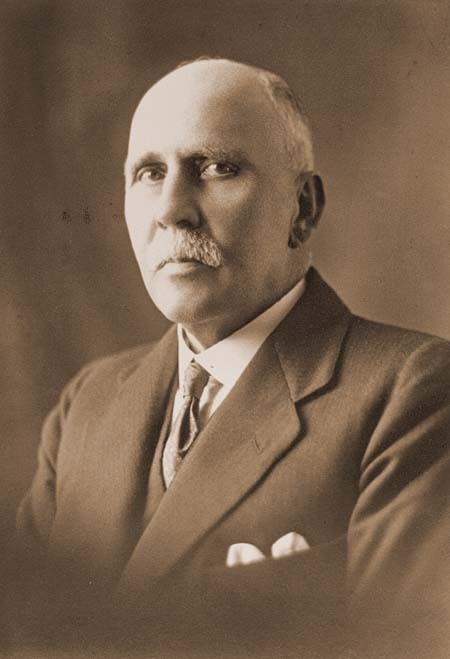 & Co. Mayor of Muswellbrook in the 1920's. Parkinson Avenue is named after him. Off to war in 1939. These Parkinsons first appeared in Quorndon (today's Quorn), when brothers Robert, Thomas and William settled there in the 1750's. They had originally come from Sawley Cliffs in South Derbyshire before that. There were three generations of Robert Parkinsons in Quorndon - culminating with my great-great grandfather Robert, who was transported to Tasmania in disgrace for stealing tea with a group of other men. He was born on 30th January 1801, and died as a respectable gentleman and landowner in Hobart in 1875. 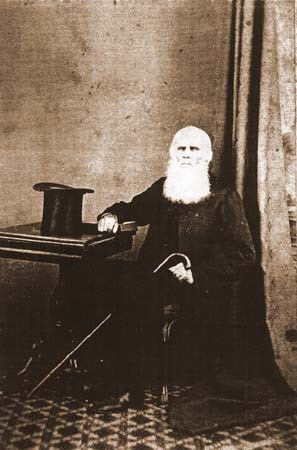 The portrait of him below, with top hat, stick and dress coat, was taken in the early 1870's. Robert 3rd's grandparents were Robert Parkinson the first (10.4.1740 - 31.10.1820), and Elizabeth Wilde (24.8.1743 - 29.3.1809). He was a baker and bachelor aged 24, when they were married on 30th July 1764. 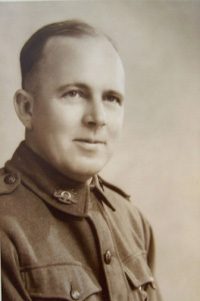 His parents in turn were William Parkinson and Anne Fowle. Elizabeth was a spinster, and had received the consent of her widowed mother, Ann Wilde or Wylde, of Quorndon, to the marriage. Both signed the register. Elizabeth's parents were George Wilde and Ann Stevenson who were married at Loughborough on 3.11.1725. They had at least ten children, and the baptisms were all recorded in the parish registers. Their surname is variously spelt as Wilde, Wyld, Wild, Wylde, Wolde, & etc. Robert and Elizabeth's children were Robert, Anne, Kitty, Sarah and Edward Parkinson. Robert 3rd's parents were the second Robert (b. 1774), and Martha Chapman (b. 1775). Robert 2nd was a 26 year-old baker and batchelor, when he married Martha Chapman, his first cousin who was a year younger than he was. Martha's parents were John Chapman and Elizabeth (nee Parkinson), and Elizabeth, in turn, had been born on 21st August 1735 to William and Anne Parkinson (nee Fowle). Elizabeth and John were married on 1st April 1758 in Sawley. Robert and Martha were both from Quorndon, and the wedding took place on 3rd February 1799. Both signed the register, and their witnesses were Thomas Chapman and Kitty Gamble (the bride's brother, and the groom's sister). Kitty had married Thomas Gamble on 28th October 1798 and they had a family of nine children. She remained close to her brother Robert, as this story below will tell! In later life, Robert wasn't too concerned about social conventions, and it is a matter of public record that Kitty Gamble tried (without success) to constantly get her wayward brother Robert to attend chapel. Material from the Quorndon Minute Book of 1835, for the General Baptist Church for 1835-42 says that, on 23.1.1835, Mrs Gamble was hopeful that her brother Robert could be encouraged to the Lord's Table. A deputation from the meeting reported that the church officers weren't satisfied unless they saw him at Chapel as frequently as circumstances would allow, and insisted that he stay away from public houses unneccessarily!! Despite Robert 2nd's lack of sobriety, both he and Martha were still alive at the time of the 1841 census in Quorndon, but were no longer in Quorndon by the time of the 1851 census. Also neither of their deaths were recorded in the burial register for Quorndon 1840 - 1851 (indicating that they had probably moved by then). Robert Parkinson the 3rd (1801 - 1875) was one of nine children and whose details were entered into the Quorndon Baptismal Register on 15th February 1837. This included him although he had already been in Tasmania for 15 years by then. His sister Hannah was missing, and she must have baptised elsewhere. The nine children of his sister Kitty (Gamble) were registered there the day before, as the law now required compulsory registration. This 3rd Robert was employed as a miner (according to shipping records), until transported. This is despite both his father and grandfather before him having been bakers. He was educated, at least to reading and writing stage, and obviously had to go out to work at a young age - his father's bakers income wouldn't have gone far in those days (or these days either for that matter!). 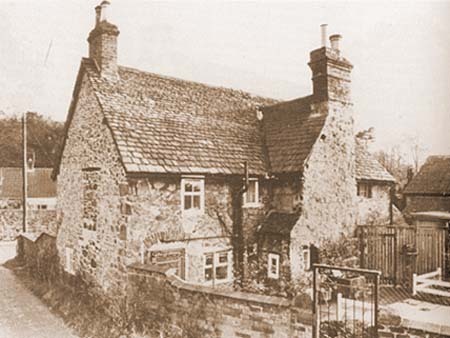 The Leicester Journal for 24 Aug 1821 stated that Thomas West, Joseph Beale, Robert Parkinson & Richard Kerry who were detained in the Borough Gaol awaiting their trial, were accused of: burglariously breaking open the dwelling house of Robert Freer & stealing thereout eighty pounds weight of tea. All were found guilty and sentenced to death, but a note added that: all the prisoners under sentence of death have been reprieved. Robert was put on the Richmond for his passage to Van Diemens Land shortly after that, and arrived after a voyage via the Cape Verde Islands. Shipping records describe him as being 5'7", with brown hair and dark brown eyes. The ship landed her cargo of 137 male convicts, and a detachment of the Third Regiment, on 19 May 1822, at Hobart. Robert 3rd was reprieved soon after his arrival in Tasmania, and was ironically made a policeman. During this time he lived in Bothwell and he cast off his convict origins quickly. He went on to have a family with his wife Jane, nee Jones (1796 - 1864), whom he married on 29.6.1832. She was from Birmingham in Warwickshire, and this branch of the Jones family had arrived in the colony as free settlers around 1823. Subsequently quite a few members of the Parkinson and Jones families moved to Maffra in Victoria in the 1850's when it was being opened up for white settlement and grazing. Both the Jones and Parkinson families have left a legacy of many descendants all over Australia today.